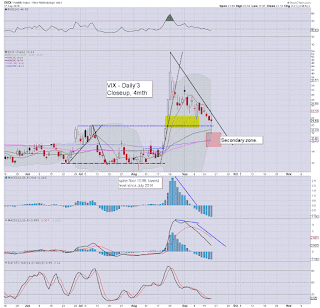 With equities breaking above the sp'2K threshold, the VIX rapidly cooled (intra low 17.87), but settling -1.0% @ 21.14. Near term outlook is for further equity upside to around sp'2040, which should equate to VIX forming a solid floor in the 16/15s. Having seen VIX 53s on August 24th.. it is pretty incredible to see the 17s.. just over 3 weeks later. So.. the afternoon action was pretty crazy.. hitting the 17s.. and closing in the 21s. Broadly, I'd still guess equities can push a little higher still... which should equate to VIX cooling back under 20.. and forming a solid floor in the 16/15s. *I will strongly consider picking up a VIX-long from the 16/15s in the next 1-3 days. 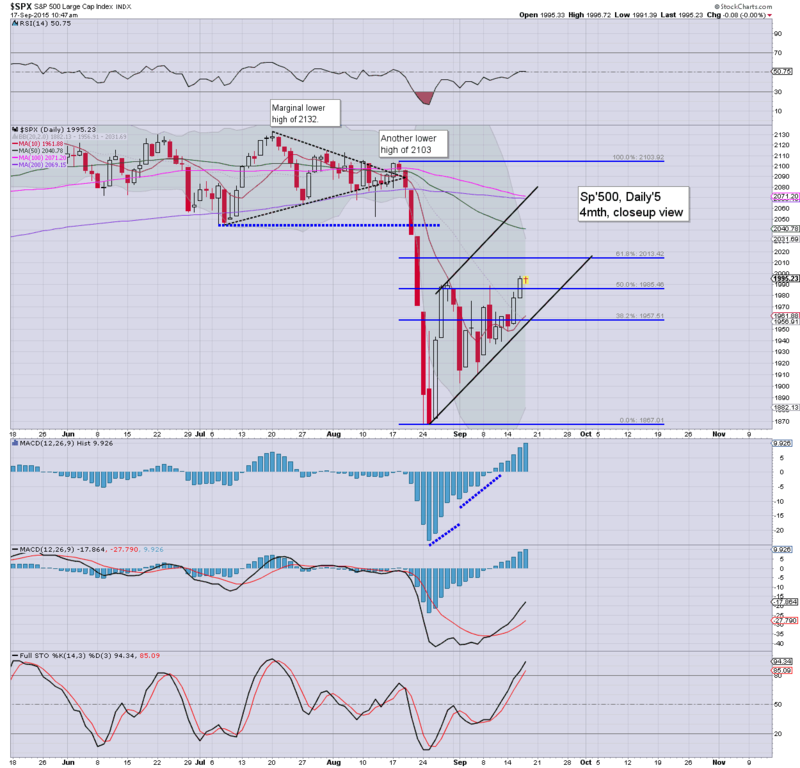 US equities closing moderately weak, after a very wild Fed day, sp -5pts @ 1990 (intra high 2020). The two leaders - Trans/R2K, settled higher by 0.4% and 0.5% respectively. Near term outlook is for renewed upside, at least to test the 2020 high.. but with the 2040s almost as viable.. more likely next Mon-Wed.
... and another crazy day in the casino comes to a close. So.. with no fed hike....the market jumped to a new cycle high of sp'2020, but then saw a rather fierce down swing to the 1980s. 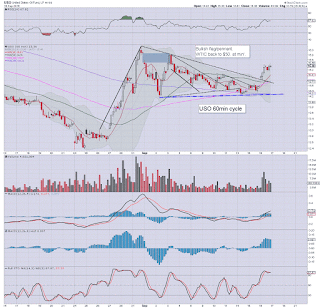 Best guess.... renewed upside... before another big rollover into Oct.
*I am on the sidelines.. and looking to launch a short position.... within 1-4 trading days. For those on the sidelines... for those who are seeking a renewed powerful down wave into October - as I am, frankly.. this price action.. AND the fed decision is perfect. I will look to launch a major market short... not today.. possibly tomorrow... but no later than next Mon-Wed.
Gold +$12... Oil, a touch lower. Indeed, Oil is FAILING to be part of the party. I will likely leave alone.. and merely focus on waiting to launch a market short. Notable strength: NFLX +2.7% in the $107s.... the 110s look due.. which would equate to sp'2035/45. 3.06pm... a little chop.. but still. . sp +15pts @ 2010... this is no market to be short... yet. 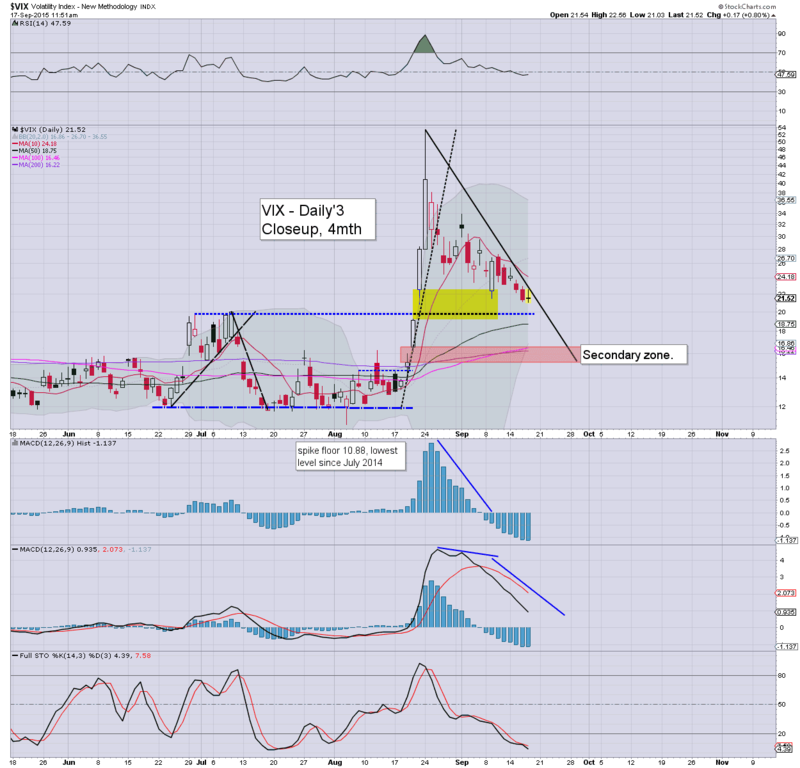 VIX jumped back to the 19s.. from earlier 17s... but broadly.. if sp'2040.. VIX will be 16/15s. 3.15pm.. a little cooling, sp +10pts.. @ 2005.. with VIX 19s.... but overall.. this is nothing for the bears to be getting excited about. There will high threat of overnight strength in Asia.. and Fri' morning in EU markets.... we could easily reach 2030/40 tomorrow. 3.25pm... Indexes back to red..... as the wild Fed day swings continue. 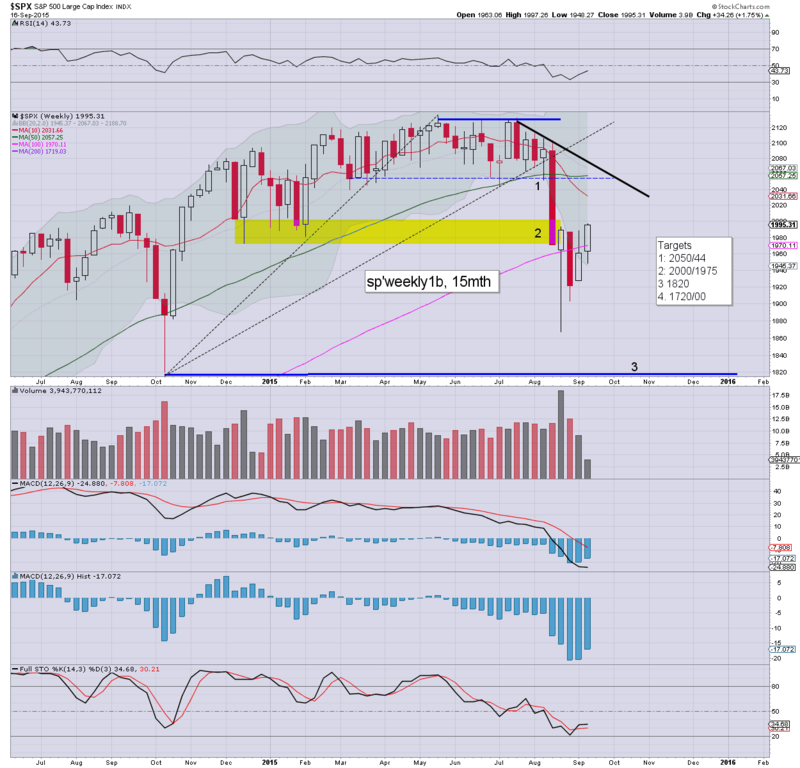 Broadly though.. sp'2020 does not make sense a multi-week high.... 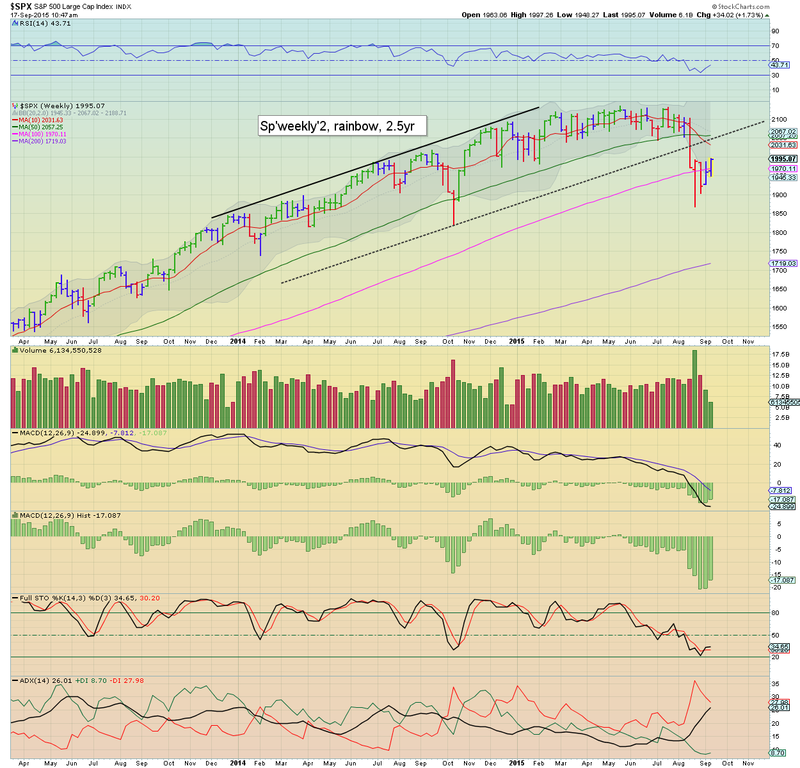 I'd expect at least a re-test to 2010/15.. whether tomorrow.. or early next week. 3.32pm.. Are we getting dizzy yet? 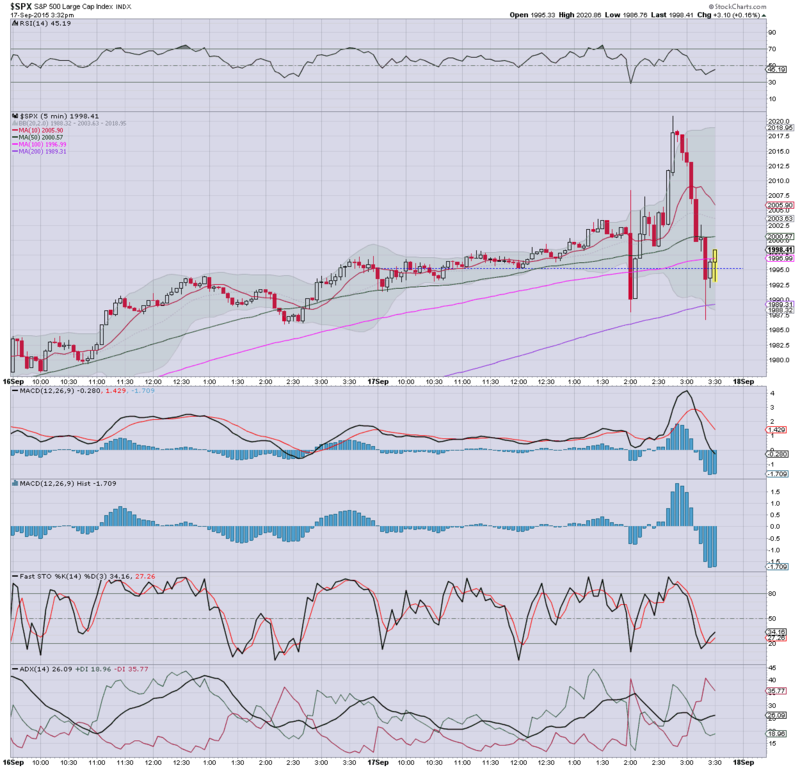 3.39pm... notable weakness: AAPL -1.3% in the $114s.... a return to the low 90s looks viable... but more on that one later. The US equity market has already managed to break above the giant sp'2K threshold, with the bears having a third consecutive lousy day. 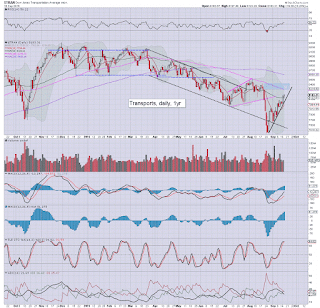 There is viable flash downside to the 1960s... whilst underlying upward pressure to 2040.. where the 50dma is. Arguably.. BOTH levels could be seen this afternoon. *I have NO positions.. and frankly... that feels rather good right now. UPDATES across the hour... and into the close. For the bears.. this is good.. it keeps the uncertainly into October. 2.08pm.. This is going to be a wild ride this afternoon.... VERY unstable conditions as stops get hit on BOTH sides. 2.26pm.... Its VERY amusing seeing the talking heads.... 'the weak fed' is arguably one of the key themes. For the bears... this is great... the uncertainty continues... and another major wave looks due... probably beginning within 2-3 days. .. the Yellen approaches......... bears AND bulls... beware. 2.36pm.. 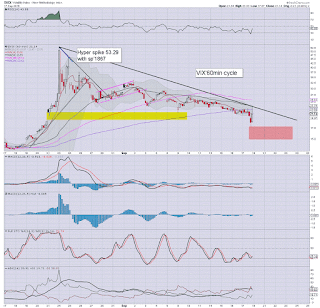 So, we're already seen the VIX 18s..... 17/15 zone sure doesn't seem a bold target now. 2.45pm.. NEW highs.. sp'2008.... barely 1.5% from prime target. 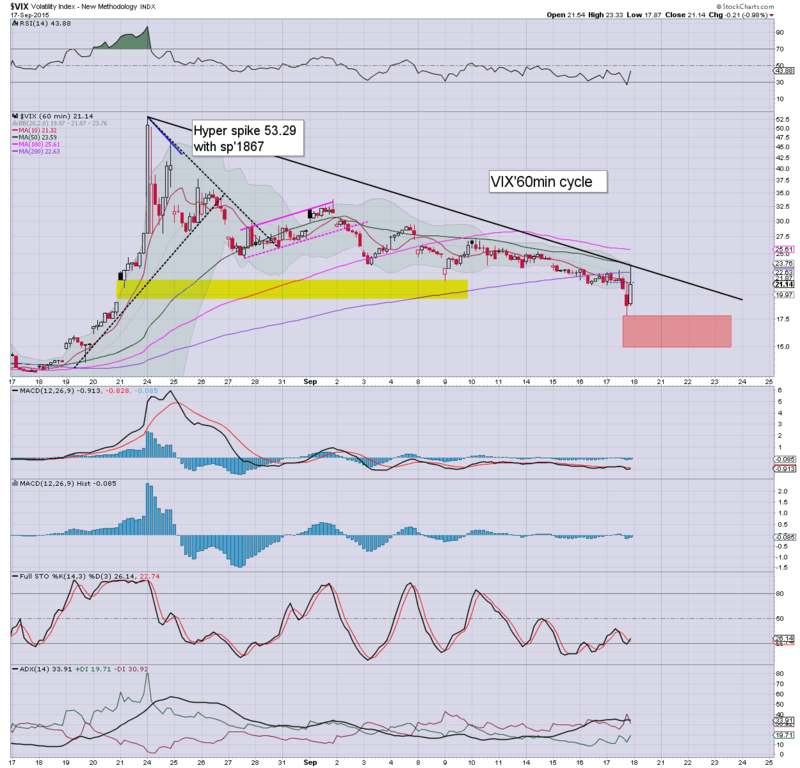 VIX 18s. 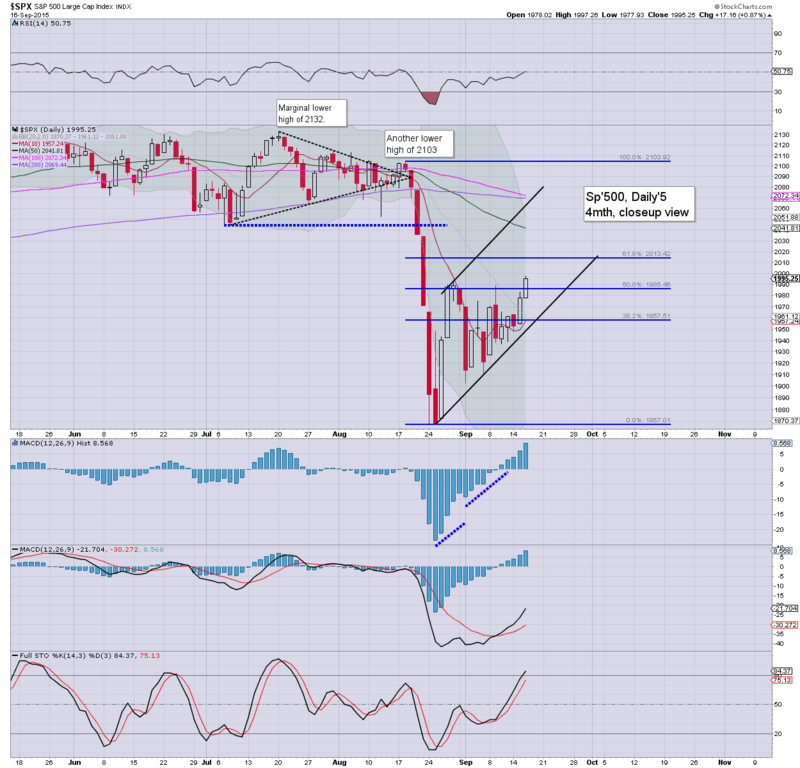 We look headed for the 50dma... around 2040.... more viable tomorrow/next Mon/Tue. 1pm update - are you excited yet? 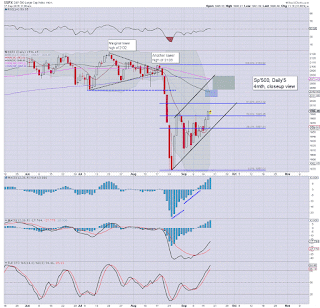 US equities remain in a holding pattern, with the sp' again coming within a point of the big 2000 threshold. 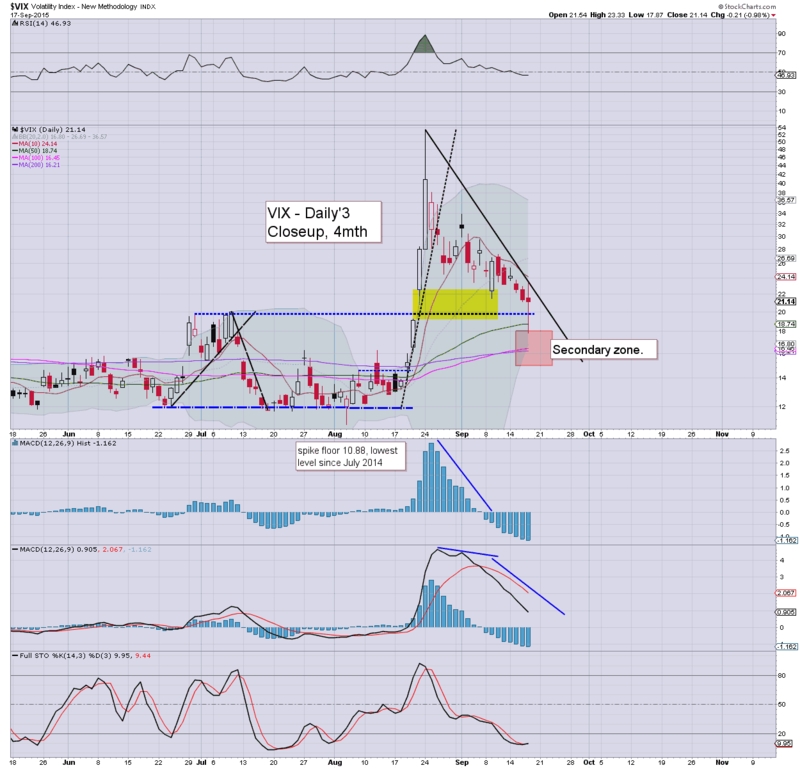 VIX remains subdued in the 21s... a loss of the 20 threshold looks due.. regardless of any initial upside jump. 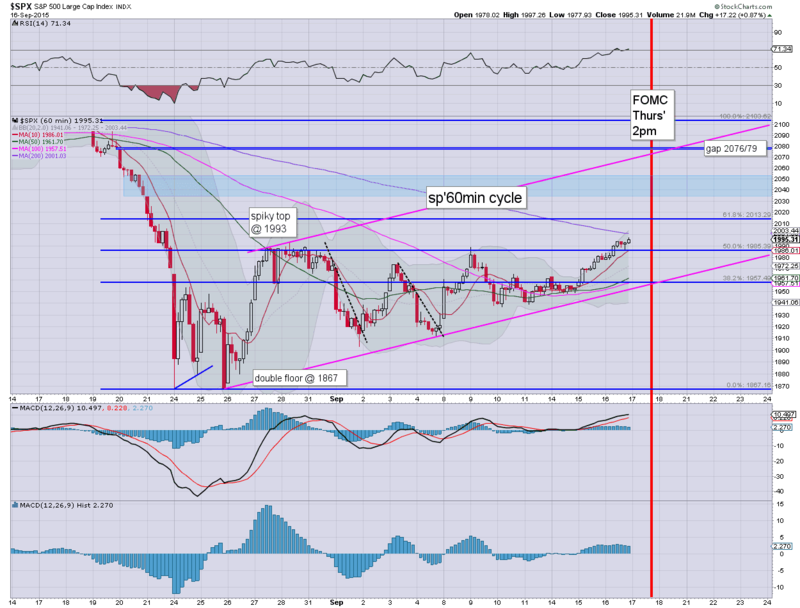 Metals are weak, Gold -$2, with Oil increasingly under USD pressure, -1.4%. Enjoy the quiet time... before things get somewhat wild. 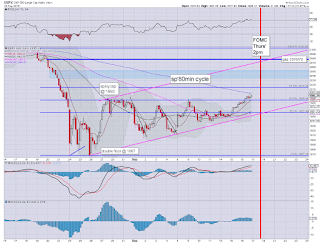 *I have eyes on Oil as a possible long on any initial post-FOMC snap lower. US equities are naturally in a holding pattern.. although the market is clearly teasing the bulls, coming close to the big sp'2K threshold. 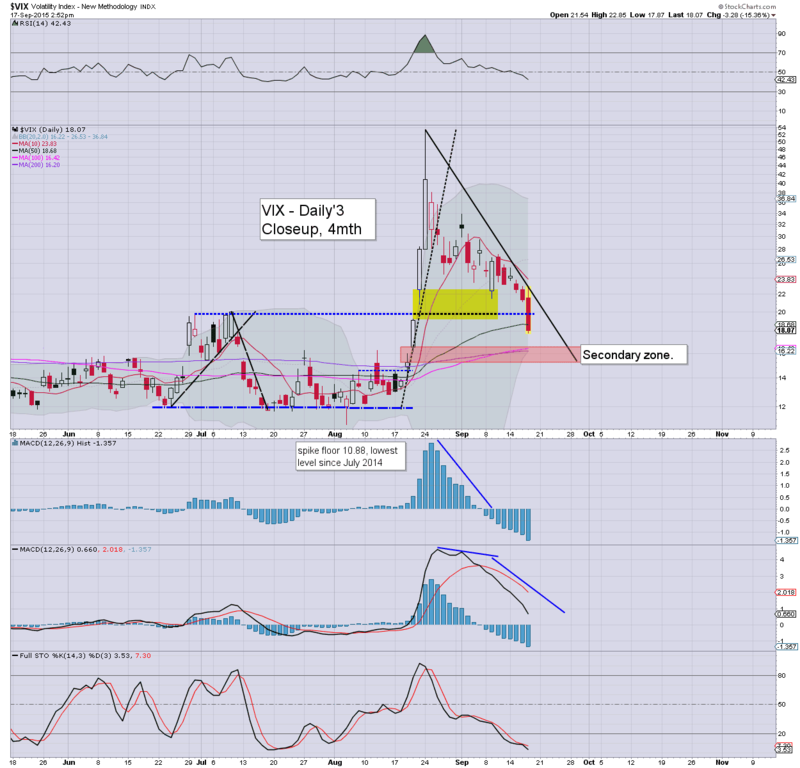 VIX is subdued in the 22/21s.. and looks set to lose the threshold.. whether this afternoon, or within a few days. 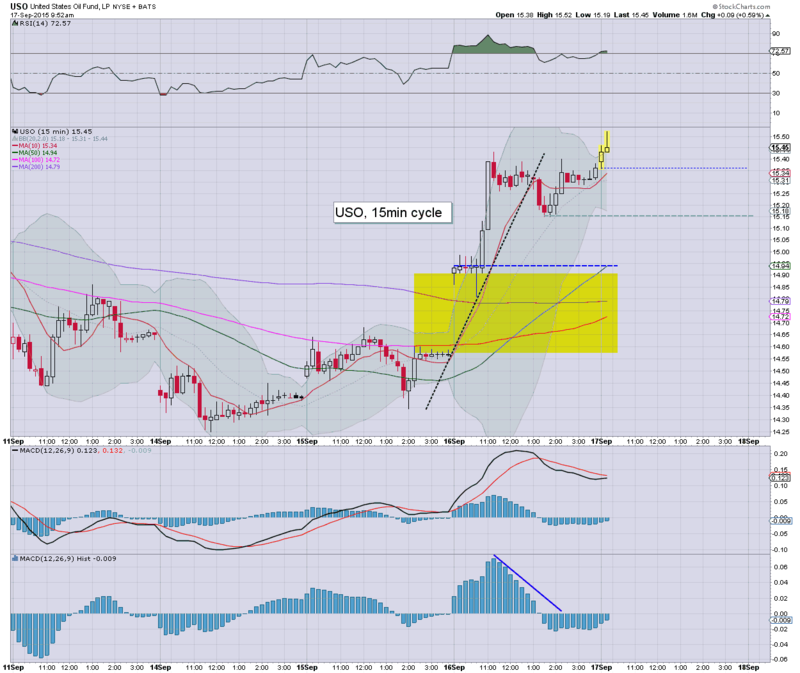 Increasingly, it looks like the $14.90s will be viable this afternoon. If so.. I'll strongly consider AFTER the Fed announcement. US equities remain in minor chop mode ahead of the FOMC announcement. 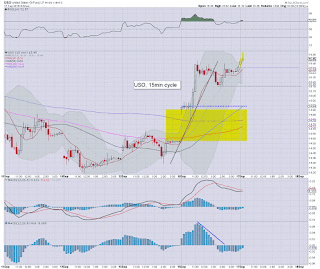 It is notable that the daily upper bollinger is now at sp'2031. Sustained action much above 2040 will be very difficult in the current up cycle.... and the bigger weekly/monthly cycles remain... broken. So... without getting lost in the minor noise, the market is now in a holding pattern for the next three hours. There is viable 'flash' downside to rising support around 1960 in the 2pm hour... but with an equally viable hyper snap-back upside to the 2030/40 zone. 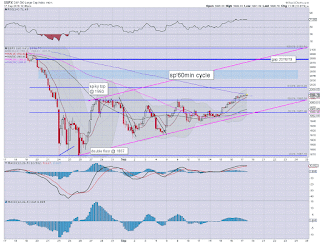 As many recognise, the market is due another major rollover into Oct'. 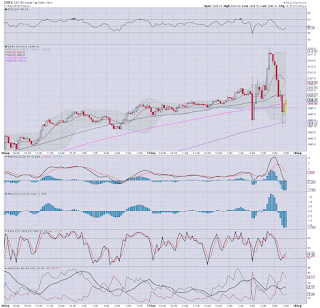 Sp'1867 makes little sense as a key multi-month.. never mind multi-year floor. The 15.10/00 zone would be tempting... although a trade after the FOMC would be a far simpler time to get involved. 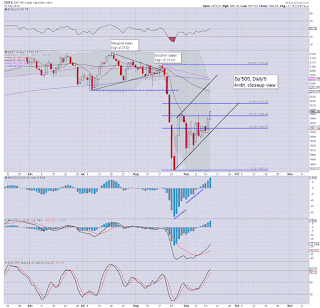 US equities open a little weak, but the market will likely be increasingly subdued into the early afternoon. USD is somewhat weak ahead of the FOMC announcement, -0.2% in the DXY 95.10s. Gold is -$1, whilst Oil is battling to push higher, +0.5%. Things are already feeling a bit tense in market land. Best guess... the Fed raises rates, and regardless of any initial sell down (literally minutes.. rather than hours/days).... the market will likely close in the sp'2000s today. I can't short this market right now... I really won't feel comfortable until the sp'2040s or so. ... but would only consider on any move to the 15.10/00s, and even then.. only a micro position. I've little interest in being involved ahead of the Fed. *key rising support on the hourly/daily charts will be sp'1960 this afternoon. The bulls have a clear 35pts of downside buffer. Well, its Fed day. 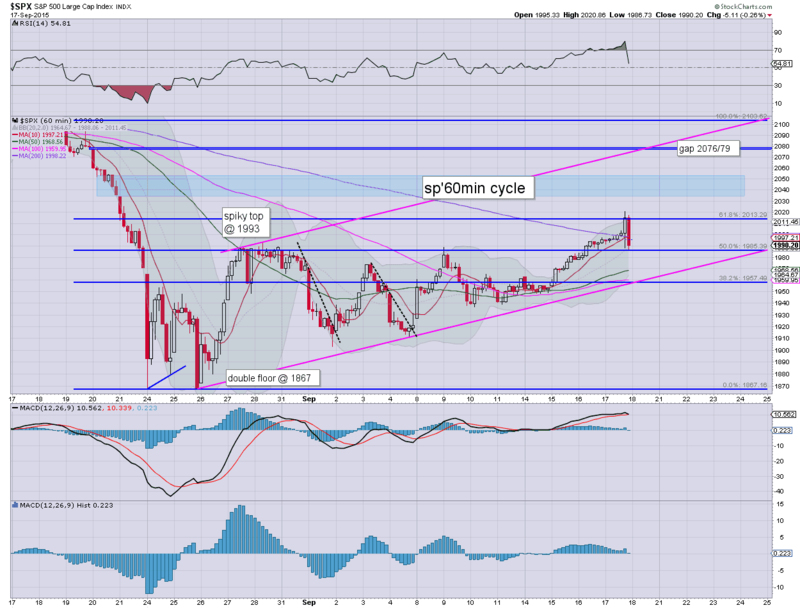 It could be the most important day since rates started to get cut in late 2007. My guess.... although it is more of a hope.. the Fed do raise rates. However, if they do... they could temper it via a very dovish statement. Anyway, lets see what the printing maniacs do. Overnight China action: After some earlier strength, the Shanghai comp' fell apart in the late afternoon, settling -2.1% @ 3086. 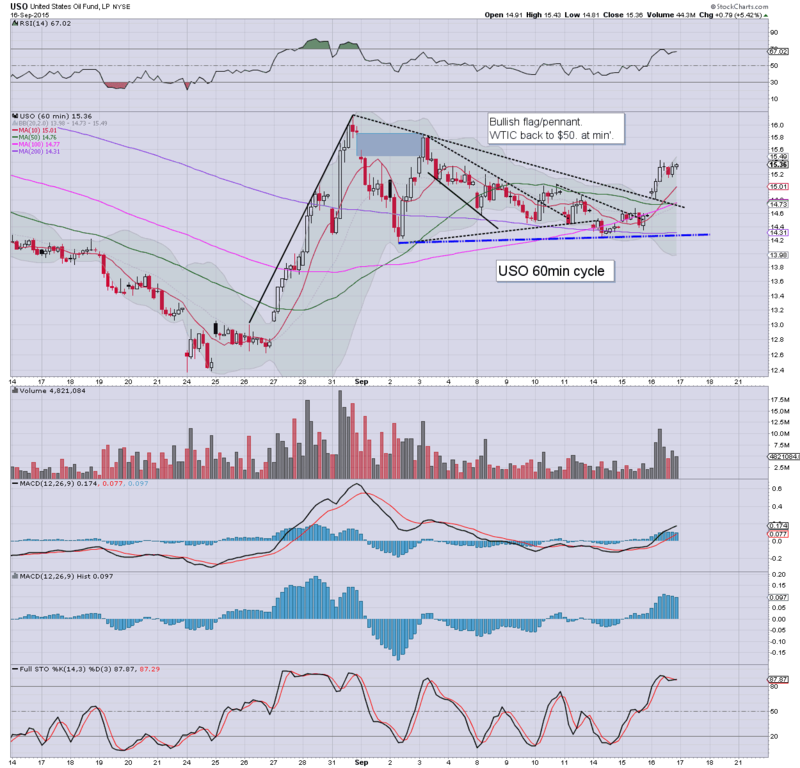 USO is set to open in the 15.15/10 range. 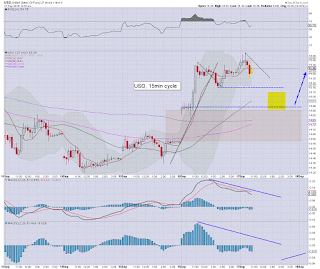 I'll consider picking it up again... but it would only be a micro position. I remain in 'trading light' mode until sp'2040s.. at which point I will look to short. The ultimate question for tomorrow is obviously... will the US federal reserve finally raise interest rates? The debate has been increasingly fierce as some of the econ-bears tout 'rates can NEVER be raised again', vs the talk from others that 'rates will rise when its right to do so'. So.. whats my best guess? Honestly... I find it hard to fathom what the financial overlords at PRINT HQ will do. The Fed has NEVER been proactive... and is always reactive. They have always been behind the curve... never leading. I would hope the Fed raise rates, as I've never believed low rates help the economy anyway. I would guess the Fed DO raise rates tomorrow by 25bps. Thursday will see the weekly jobs, housing starts, current acc', Phil Fed' survey. 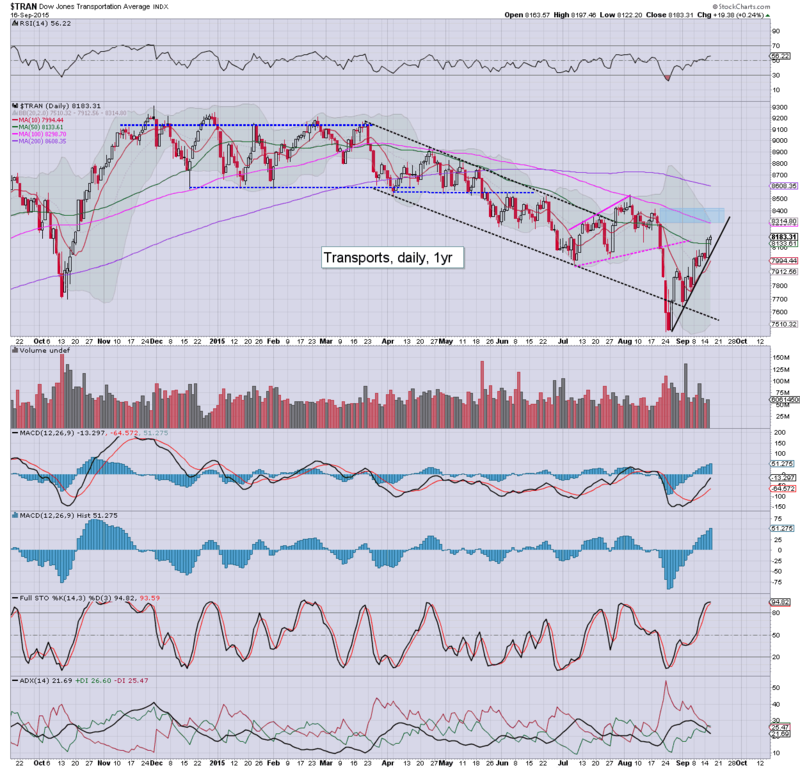 *Trans is fast approaching resistance in the 8300s. 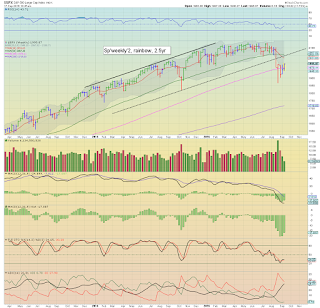 Sustained action >8400 looks highly unlikely. Suffice to note.. a second day higher for the market.. and we're now 128pts (6.4%) above the double floor of sp'1867. 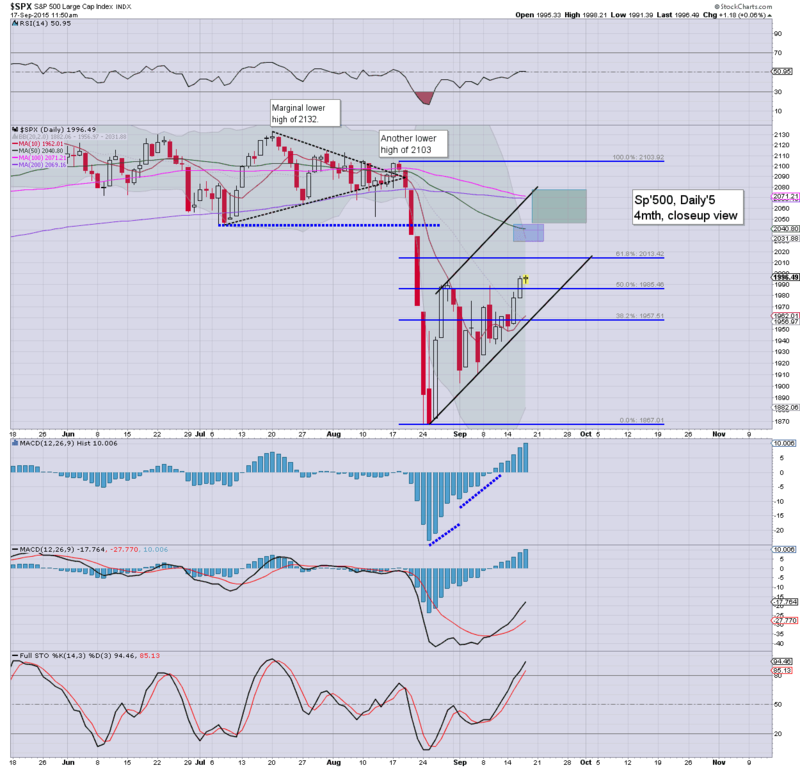 At best, I'd guess the market can push another 2-3% higher... certainly.. no sustained action >2070.